Does this happen very often in Paris and the Champs-Élysées? The photographs that are coming out are surprising. If anything, I think French have historically been among the most expressive people as a nation. I hope things calm down and the reasons are addressed. An unfortunate state of affairs on many levels and from varying perspectives in addressing contemporary and historic ills and unfairness. I've read that the gas tax is exposing anger that's been building over inequality in French society. It's not easy to understand, partly because there are no leaders and no program. But it's easy to see that some people are pissed off, and not all that difficult to understand why. The gas tax was merely the trigger. I imagine part of the problem is that LREM (Macron's party) came out of nowhere and capitalized on a general frustration with the existing political parties, but may have set unrealistic expectations of what it could accomplish in the short run. So now both the populist left and fascist right are calling for Macron's head. This doesn't seem as perilous as the 1968 uprisings, when workers and students joined forces, but we'll see what happens next weekend. "The great bulk of the movement represents genuine economic and social distress in a peripheral and middle France which, with some reason, says that it is despised and fiscally exploited by the country’s thriving cities. " "The great majority of the rioters were, by my reckoning, men and some women in their 30s and 40s from suffering rural towns in northern or western France and the hardscrabble outer suburbs of greater Paris. They came dressed and armed for combat." It sounds like the anger is intense and that there's no identifiable agenda. It's a violent lashing out at a system and a government by people who feel exploited and marginalized. Very interesting news story. It sounds very much like San Franciscans throwing rocks at the Google bus, which was hard to understand too. My take is Google thought they were bringing economic prosperity to the region, but the prosperity left workers behind who could no longer pay their rent and felt disrespected. The great bulk of the movement represents genuine economic and social distress in a peripheral and middle France which, with some reason, says that it is despised and fiscally exploited by the country’s thriving cities. 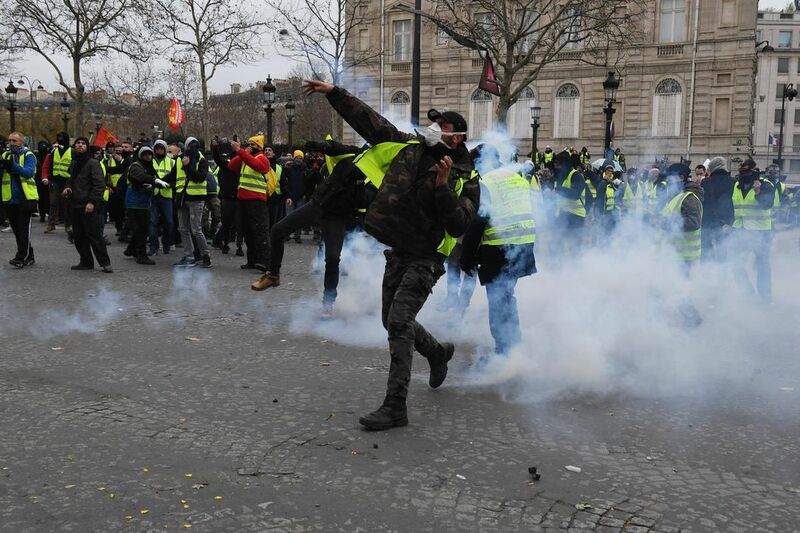 I read some analysis arguing Russia is actively encouraging the Gilets Jaunes movement, but I'm having a hard time putting my hands on it again. I should bookmark everything interesting! I don't doubt that they're meddling. But as we saw with Russia's failed attempts to create rallies during the US' 2016 election, you can't marshal people if they don't want to be marshaled. 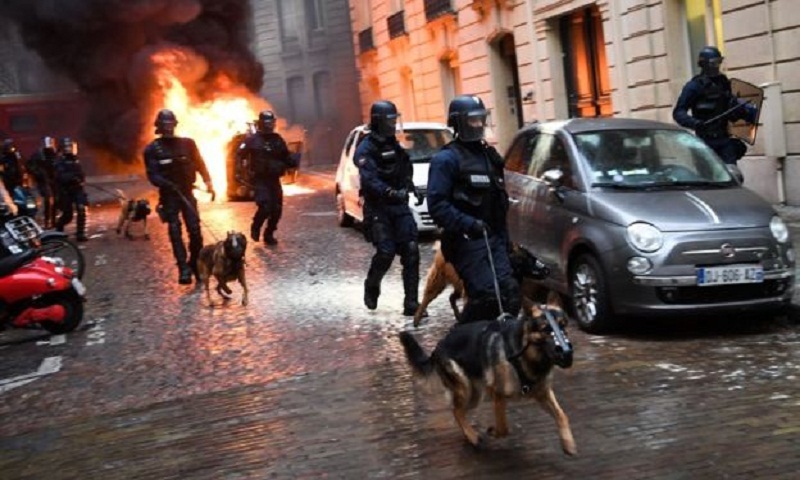 I get the sense (from the reports) that the riots are a geniune expression of despair in France. 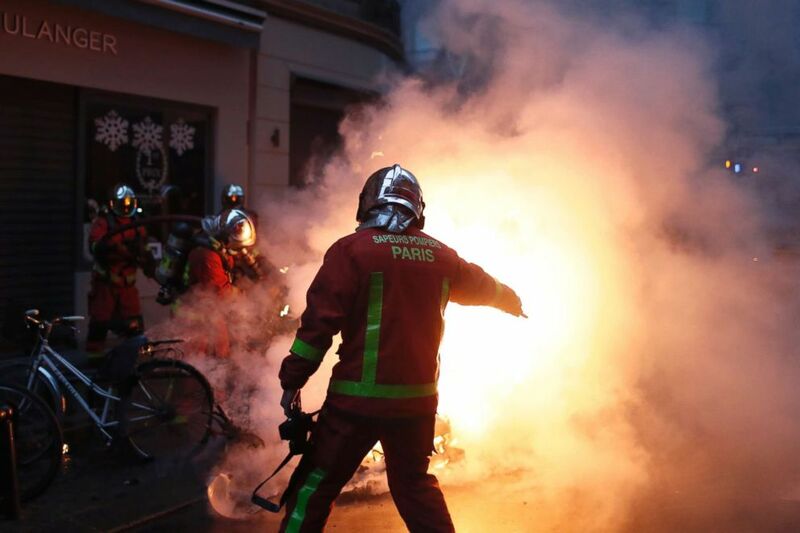 Apparently, 74% of the country support the yellow vests but 85% object to the violence. Macron is slashing France's famous wealth tax, loosening labor laws, and taxing the diesel fuel the labor force depends on, so they view him as a leader for the rich. I read a book called the French art of war this year and if the book was to be believed this kind of thing is bubbling away under the surface in France all the time just looking for a reason to vent. Perhaps the European Union "assimilation program" isn't quite working? Here is a thread from a British Financial Times columnist living in Paris, which gives some context I found useful. His point about spending power in the rest of France is interesting, and makes sense of some dynamics I've sensed speaking with French people about employment and education, but not been able to put my finger on. Certainly in the context of France's longer history -- I don't know much about France's post-WW2 history at all -- the Paris vs. 'provinces' dynamic is one of the country's defining characteristics. As Faulkner says, "The past is never dead. It's not even past. *"
The 'telegenic' quality of protest violence is certainly something that rings true and universal: two or three thousand people peacefully assembling in my own American city (Portland, Oregon) won't get much news coverage, but one garbage can on fire will have three photographers and a TV news crew jockeying for the best angle on it. Yes some of the pictures are scary. Thanks for the link. I don't know what is reliable reporting in France, but that looked like it probably was. Still, France 24 said the government estimated 125,000 protesters across France. From what I've read it doesn't seem like this round of protest is specifically targeting immigration. It seems to have more to do with economic stagnation and inequality. That's like, you know standard equipment in all the government offices there. :-) But seriously am curious, has anyone figured out what the rage is about, or simply the glass has become too full of something such as having to work paying for someone else's problems in that union. Thanks for the in depth article.